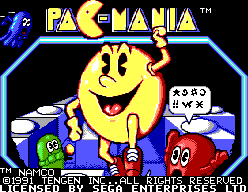 Pac-Mania - Games - SMS Power! 84 CVG magazine "Complete Guide to Sega"
The Arcade No.1 Smash Hit!! 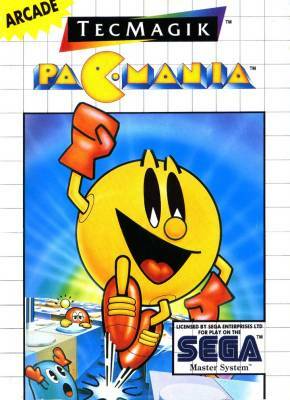 Pacman faces his toughest challenge yet in the 3D scrolling playfields of Pacmania. With exciting worlds to discover, secret levels to find and armed with new super BOUNCE power, PACMAN has to use speed and cunning to outwit those creeps, Clyde, Sue and Funky and get on with the serious business of .... eating!!! Steve Lamb, Dan Duncalf, Simon Freeman, Jeff Gamon and Muffy Vashele at Tecmagik Inc, Menlo Park, California, U.S.A. There is a development page for Pac-Mania. Visit it to see technical discussion of this game.